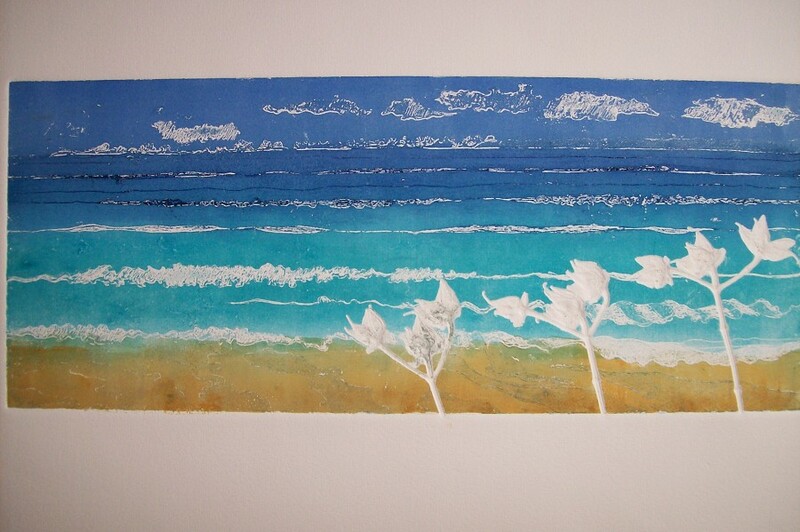 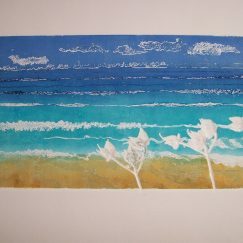 Barbra is a painter/printmaker who works in the Fylde and in Cumbria. 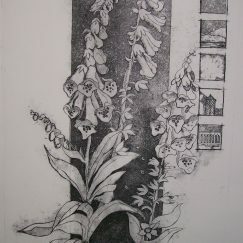 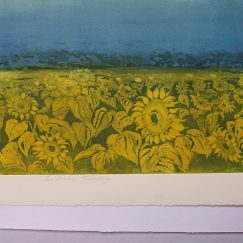 She has exhibited at the Mall Galleries, London; the Grundy Art Gallery, Blackpool; Brantwood, Coniston; The Brewery, Kendal; Farfield Mill, Sedbergh; Yew Tree Barn; Kendal Museum; Abbot Hall Coffee Shop, Kendal; Printfest, Ulverston; The Beacon gallery, Whitehaven, and The Heritage Centre, Lytham. 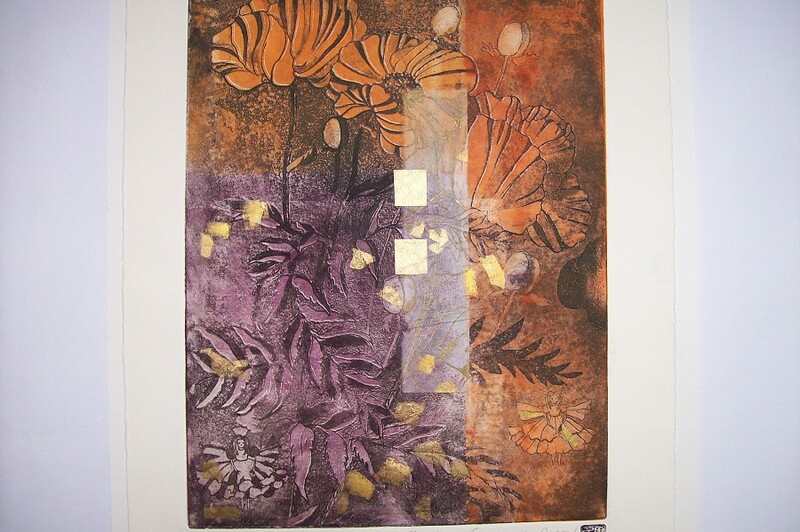 Barbra has taught Art in High School and Adult Education. 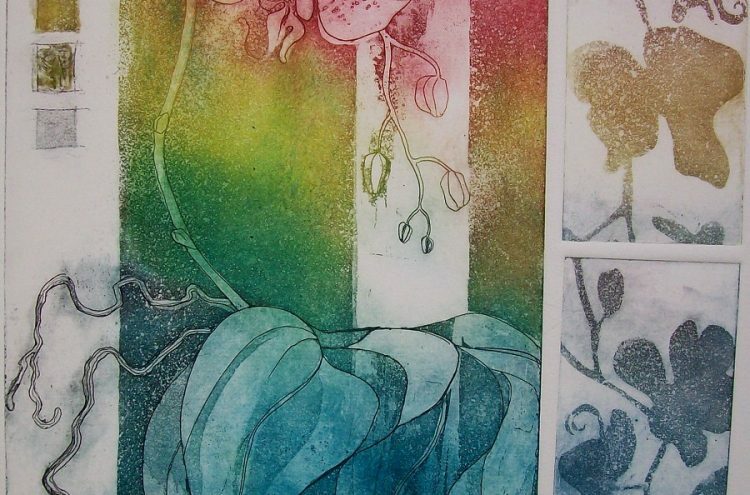 She teaches small groups in her studio in Bowness and lectures in modern Art History. 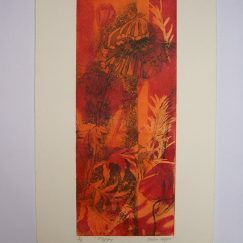 “My work is based on ‘Transience’ in gardens with a special interest in small creatures such as birds and butterflies. 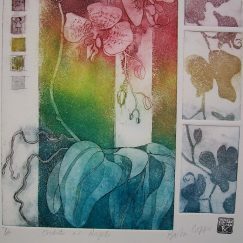 Another of my series is ‘Archways in Medieval Cities’. 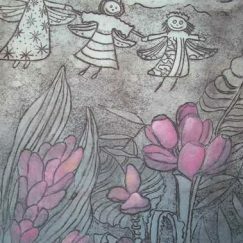 I work in the etching process either by drawing with a point, gouging out the metal or by etching the plate with acid, sometimes in combination with monoprint. 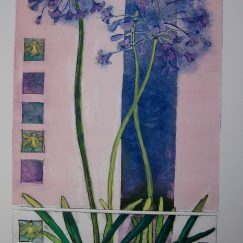 These pieces are hand coloured and printed in small editions”. 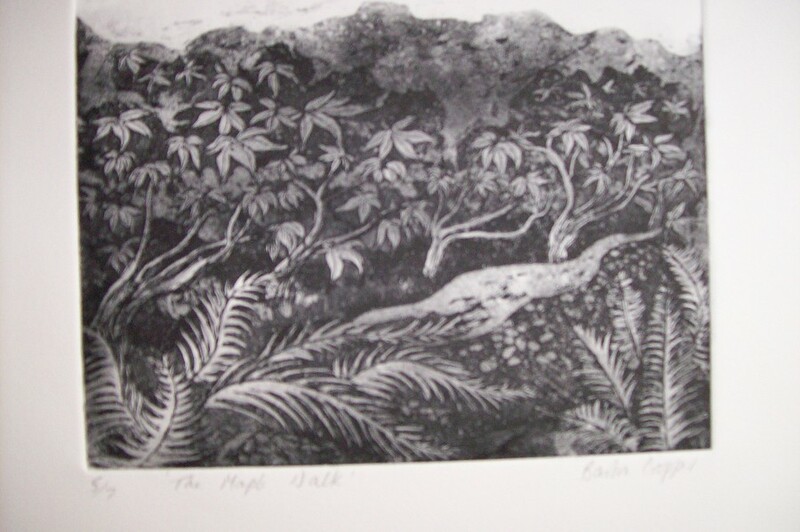 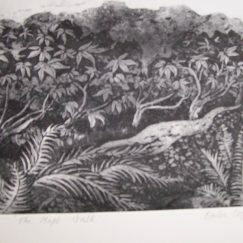 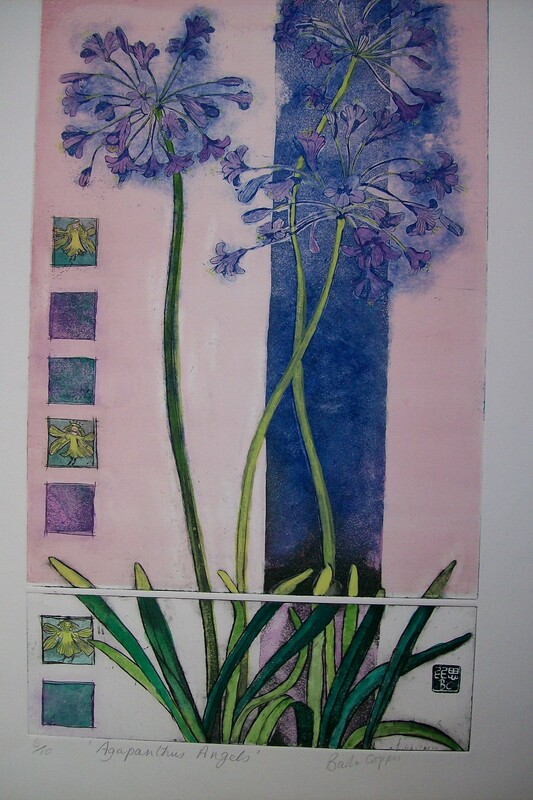 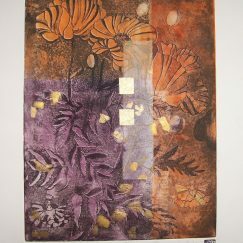 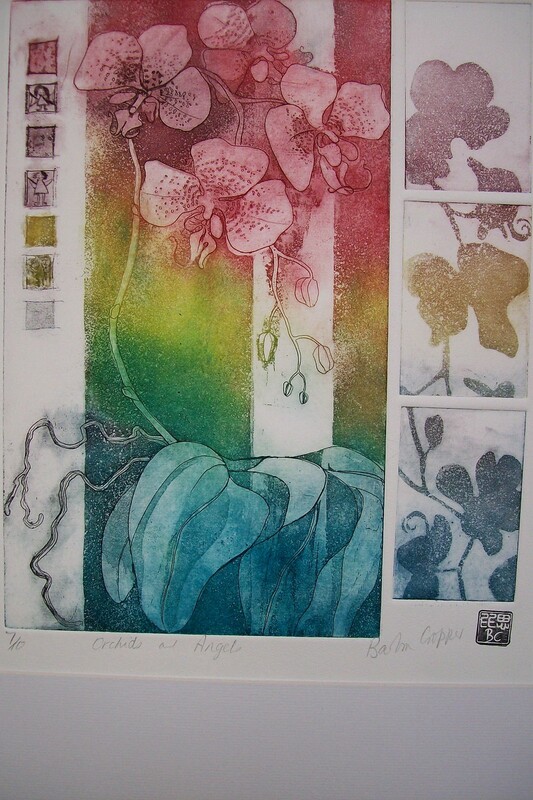 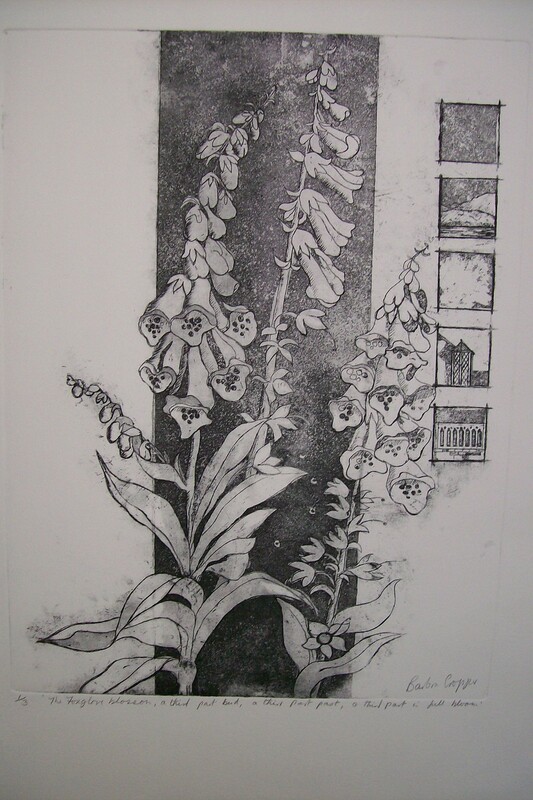 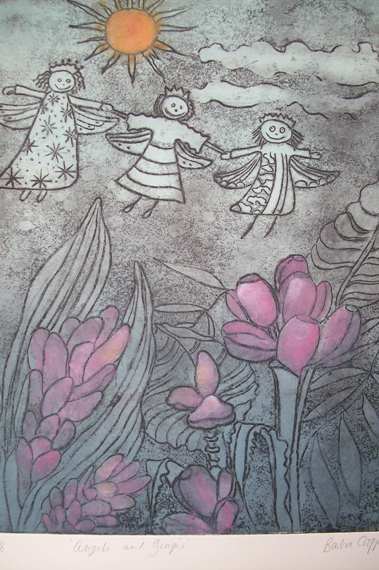 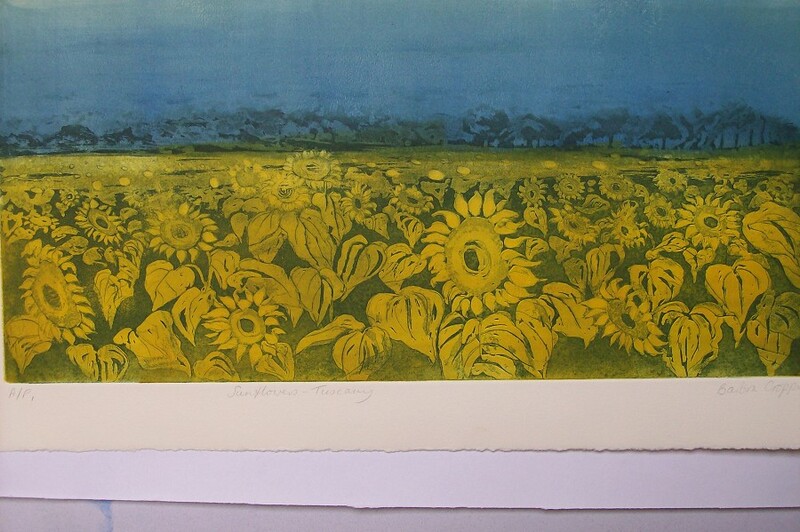 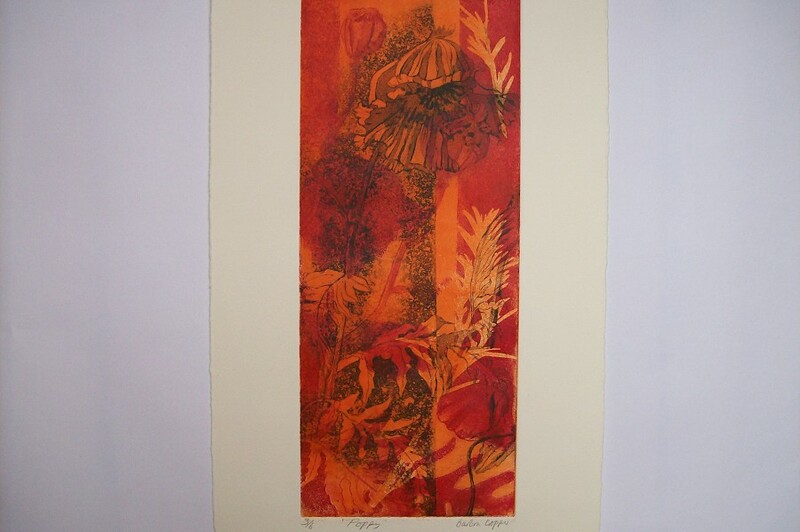 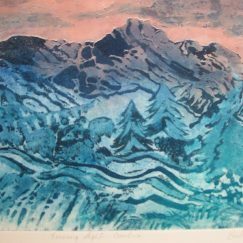 She is a member of The Green Door Studio, Kendal and The Printmakers Council, London. 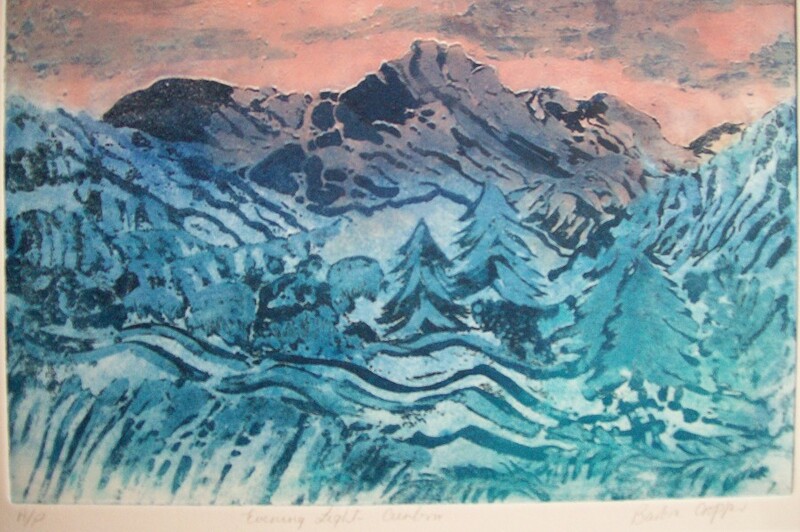 Barbra often exhibits her work at various galleries across the North West.